In order to win the affiliate or CPA marketing war (winning over a skeptical prospective customer base), you need an actionable plan. Those affiliates who are screaming ‘SOS’ after embarking on failed CPA campaigns may very well be interested in CPA Marketing Decoder, a new comprehensive product written by Curtis Valdez. In this CPA Marketing Decoder Review, I will examine this guide and its potential to help you become a victorious and profitable affiliate marketer. Author Curtis Valdez is a tactician. He wants to make the troops, his trusted readers, fully understand the CPA landscape. At the very start, he provides enlightenment on Cost Per Action, and how this form of advertising really mitigates advertiser risk where advertisers only pay out when receiving leads, sales, or obtaining other desirable outcomes. While Curtis bluntly states that all the risk falls on the burdened shoulders of publishers (i.e., affiliate marketers), the potential monetary rewards are great following the high risk, high reward mantra. And in order to realize those rewards, Curtis devises a battle plan where readers overcome a variety of obstacles, especially ignorance. CPA Marketing Decoder breaks down the complete variety of CPA offers to highlight – everything from email and zip submits to free trials and incentivized offers. But you also need to become part of a CPA network before publishing any offer. Towards that end, Curtis offers some sage advice so that your enlistment will be seamless. Preparation is key, and you’ll be able to underscore any prior affiliate marketing accomplishments, which niches you’ll be targeting, how you plan to drive traffic to offers, and address any other important network consideration. You’ll be prepped and ready to speak with any affiliate network representative. No doubt, you’ll soon become an official CPA marketer. The most common affiliate marketer’s concern is what product to highlight and/or what niche to pursue. In CPA Marketing Decoder, Curtis Valdez goes over both possible directions. 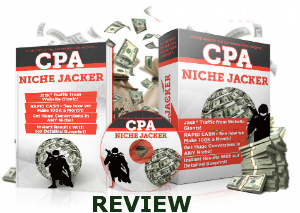 After reading and reviewing the resource, you’ll know how to select a specific CPA network product and subsequently learn more about the associated niche. Hint: testing for conversion rates is all-important. On the other hand, you may be drawn to a given niche, or at least want to discover a popular niche where there is much consumer spending. Curtis provides an ‘X marks the spot’ by giving the reader four sites where golden nuggets may be obtained. Once you have your niche, you can then find suitable offers – another skill the guide helps you to develop. Obviously, regardless of the path you choose, you’ll have to develop a certain amount of expertise in keyword research. You’ll see what tools and parameters Curtis uses to conduct his keyword research. In your incessant quest to win much-needed revenue and commission, you need to build traffic and convert sales. Perhaps the most important part of your arsenal to accomplish this task will be to create compelling content. Curtis Valdez would be the first one to suggest outsourcing if you lack any writing prowess. However, if you’re a good enough wordsmith, let your words rain down and this may translate into getting showered with profit. In CPA Marketing Decoder, you’ll learn how to spread your message through the use of article directories (yes, they really still help to build traffic) to document sharing sites. You can write guest posts, blog comments, and insightful forum messages. The course examines these potential platforms to get your message out – and, as important, your affiliate links out. Aside from a vast amount of cyberspace where your written work may be shared, there are other bountiful ways to draw attention to your CPA offers. 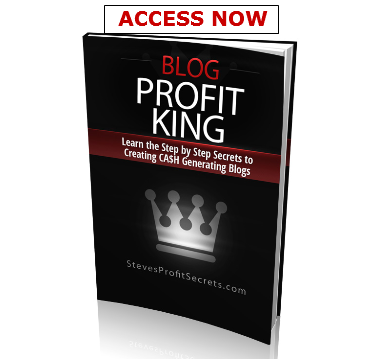 CPA Marketing Decoder reviews all the possible means to drum up this traffic. You’ll have to kick out your ‘inner introvert’ to implement some of the marketing strategies available to you. For example, you can lead webinars, create podcasts, or talking head videos. But you don’t have to be front and center. You can create many other types of videos, for instance, where you’re not on camera. But regardless of what means you use to publicize your offer, you need to make it visible. Consequently, Curtis provides vital information on social media sites and even video sharing sites. Again, the more eyeballs that see your offer, the greater the possibility of hands reaching into pockets to get that credit card. There are plenty of free methods to galvanize attention to your offers (SEO, for instance), but you may opt to use paid methods (i.e., Pay per click). Curtis discusses options, and it appears to this reviewer, that he believes most CPA marketers can still excel using free methods. To accelerate traffic and maximize sales, CPA Marketing Decoder also reviews list building. This is not a list building course, but the reader will gain some insight into creating captivating squeeze pages and building a list using list management tools. As an added bonus, the reader will learn how to get into the minds of prospective customers (know your audience! ), how to write copy that attracts a crowd and sells, and construct sales pages that convert. Should You Purchase CPA Marketing Decoder? I’m really impressed with the amount of work that Curtis Valdez has done to launch this product. CPA Marketing Decoder is not only very well-written, but does an excellent job explaining the facets of the often complicated CPA arena. He provides the training, a checklist, a process mind map, and even a worksheet. This will help CPA battle-weary affiliates and new affiliates. In essence, the book is written for new or struggling affiliates, or those who are inexperienced in running CPA campaigns. Veteran CPA affiliate marketers may not need this type of training. My only pet peeve is that I wish Curtis would have included a case study. However, the material is so well-organized and crystal clear that the reader can follow the steps and guidelines provided and launch a successful CPA campaign. I’m confident that you’ll soon become a CPA Marketing Decoder able to unscramble the CPA code to generate healthy profit and win the CPA war.